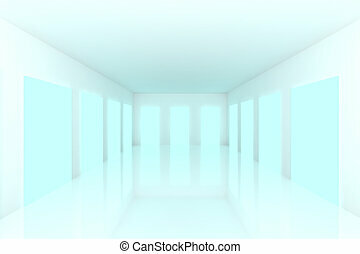 White empty room with opened door. 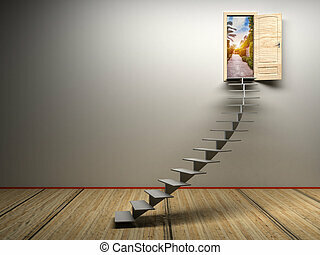 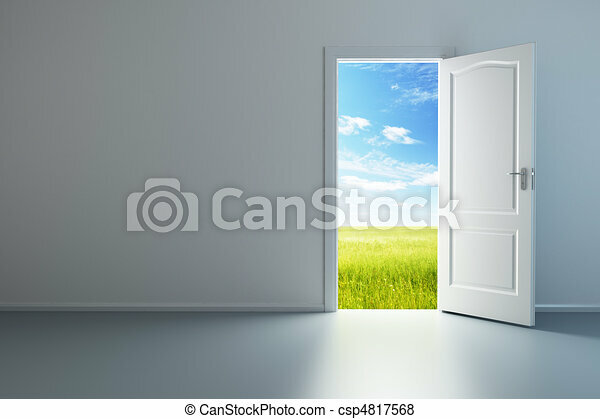 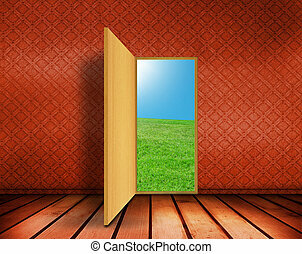 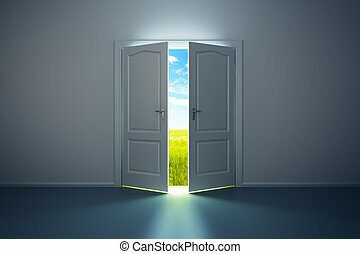 3d rendering the empty room with opened door. 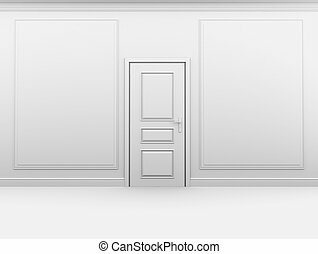 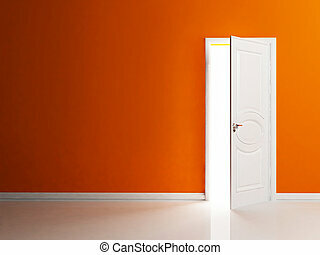 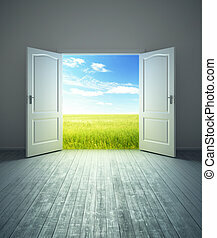 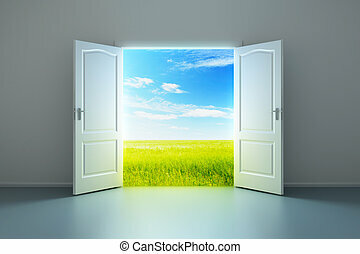 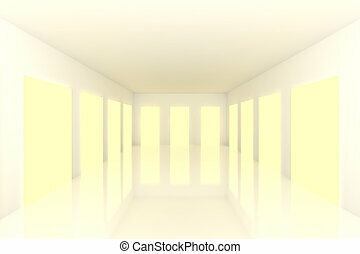 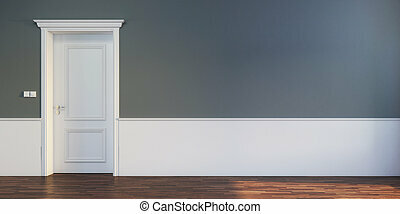 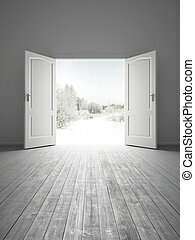 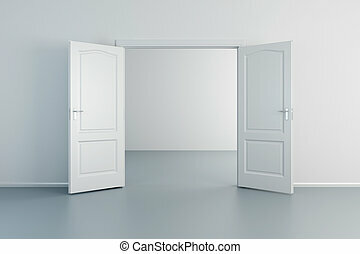 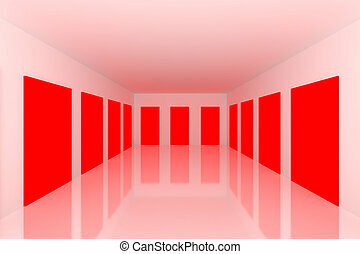 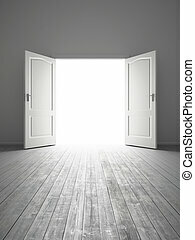 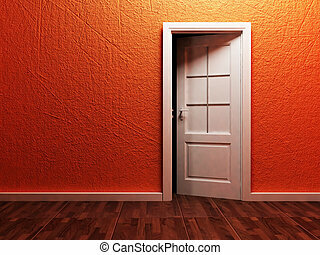 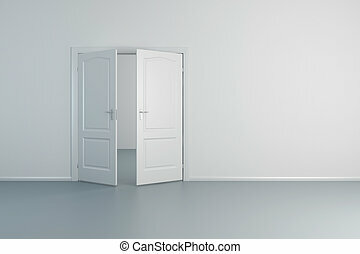 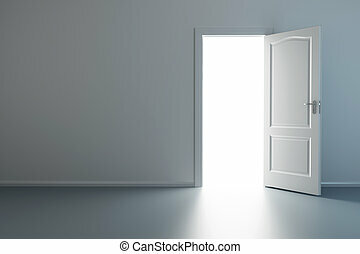 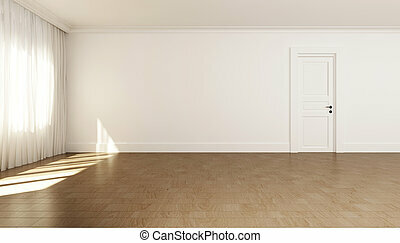 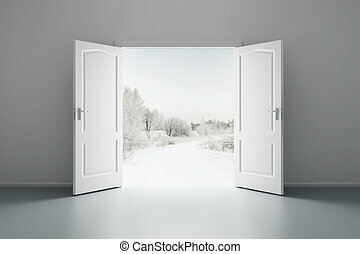 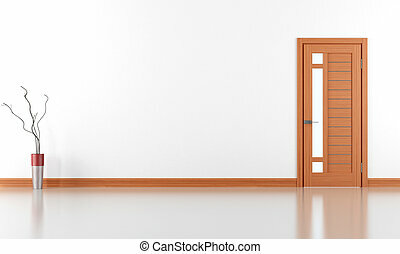 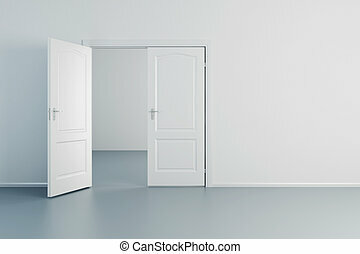 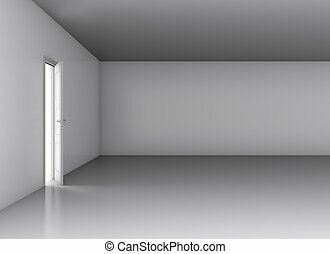 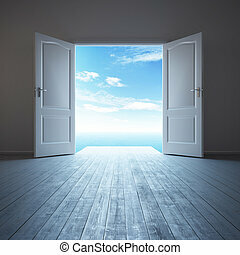 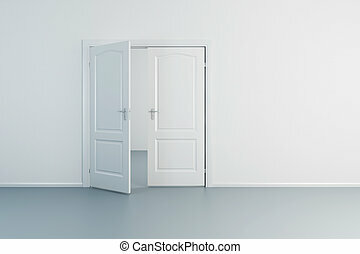 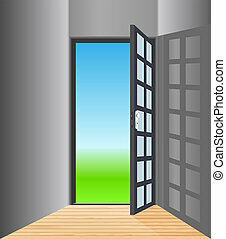 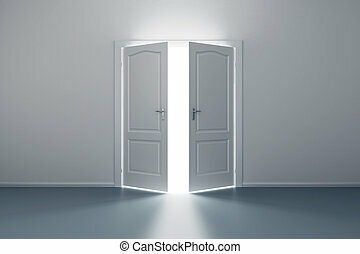 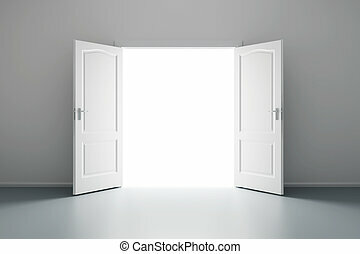 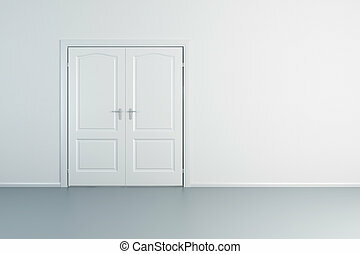 Empty white room with one door, 3d illustration. 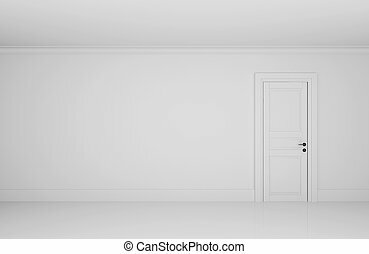 White empty room with the door closed.